As your hearts fill with trepidation, you cross my realm of gloom. Will you prove to be my salvation or shall my name spell out your doom? Total Mayhem Games started life as a 15 person team from the Dutch University of Applied Sciences. It was apparently the perfect mix of art, design and development students since their first project We Were Here reached a 92% positive rating on Steam. The product of just 14 weeks of dedicated work, the success of We Were Here led the team to pursue their dream of making games further – and so Total Mayhem Games was born. Having secured funding from a motivated and experienced investor, the team built on their amazing start with their next game We Were Here Too establishing the We Were Here series. 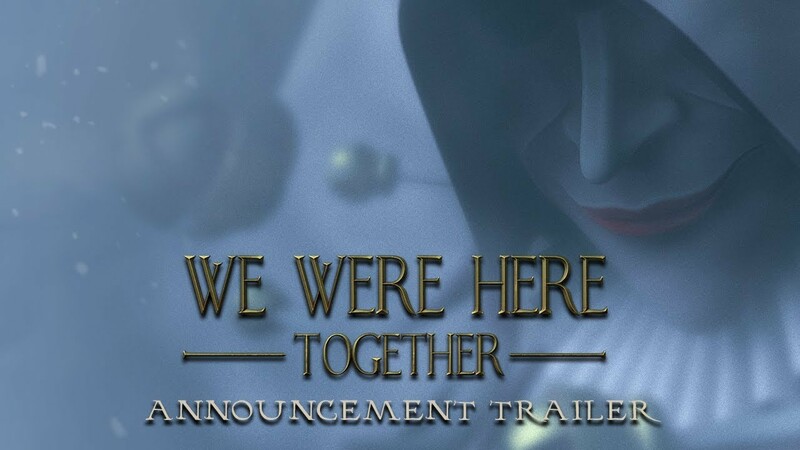 The series continues to expand with the upcoming We Were Here Together. After braving the icy wastes to reach Castle Rock, being trapped inside isn’t the worst of it. After all, you’re not the only souls that dwell within these walls.